These tips can help you complete a reliable project cost estimation. When money is tight, like it is now, every penny needs to go where you plan for it to go. Even the smallest miscalculation of a project’s costs can have a devastating, cascading effect if it soaks up money you needed for other purposes. How can you ensure that estimations meet that lofty goal? Best practices developed by government researchers and shared by security and LP industry leaders can help. These tips may help you to assess the completeness of a project cost estimation, either when conducting your own estimate or evaluating the sufficiency of an estimate developed by a consultant or integrator. 1. Comprehensive. The cost estimate should include all organization and contractor costs over the full life cycle of the program or project, from inception through design, development, deployment, and operation and maintenance to retirement. It should also provide sufficient detail to ensure that cost elements are neither omitted nor double-counted, and it should document all the ground rules and assumptions that underpin the estimate. (c) a defined scope for the estimate. Is the estimating structure determined? A work breakdown structure (WBS) is critical—defining the work elements needed to accomplish the loss prevention program objectives and the relationship among these elements. As an essential element for developing a life cycle cost estimate, the WBS should (a) examine in detail product-oriented elements so elements are neither omitted nor double-counted; (b) provide a standardized way for collecting data across the program; (c) be consistent across the cost estimate and project; (d) be updated as the program becomes better defined or changes; (e) define each work element and how it relates to others. Are ground rules and assumptions identified? Because some information will be unknown, cost estimates are bound by constraints, which include ground rules and assumptions. Identify: (a) risks associated with assumptions; (b) budget constraints; (c) inflation rates and their source; (d) dependencies on other organizational entities; (e) the effect on the estimate if assumptions are wrong; (f) items excluded from the estimate (with explanation); (f) the effect on cost and schedule if assumptions about technology are wrong. 2. Well-documented. Your cost estimate should capture in writing items such as the source and significance of the data you use, your calculations, and your rationale for choosing a particular estimating method. Additionally, you should capture information used in the cost estimate so that you can trace the estimate back to, and verify it against, their sources. Finally, management needs to review, accept, and have confidence in your process for deriving the cost estimate. Are program characteristics defined? Reliable estimates require understanding the key characteristics of the program/project, including documented requirements, purpose, technical characteristics, development plan, acquisition strategy, operational plan, and risk. The less such information is known, the more assumptions must be made, thus increasing the risk associated with the estimate. Are valid and useful historical data collected? Root your cost estimate in historical data. To ensure data usefulness, you should: (a) identify all cost drivers, such as wear and tear on surveillance cameras; (b) collect cost data for all cost drivers, documenting the source of data and assessing its reliability; (c) continually collect data so they are available for future use; (d) meet regularly with parties responsible for collecting/keeping cost data; (e) benchmark the data for reasonableness. Is the estimate documented? Document the cost estimating process, data sources, and methods, so that someone unfamiliar with the program could understand how it was derived. (a) Document actual costs to update the estimate; (b) describe the estimate in both narrative and cost tables, including an executive summary, introduction, and descriptions of methods; (c) break out data by WBS elements; (d) document the sensitivity analysis and risk and uncertainty analysis; (e) document estimate updates to reflect actual costs and changes. Was the estimate presented to management for approval? Prepare a briefing for management that contains enough detail to show that the estimate is accurate, complete, and reliable—and management should approve the estimate. A briefing should include: (a) an overview of the program’s technical foundation and objectives; (b) the life cycle cost estimate in time-phased constant-year dollars; (c) a discussion of ground rules and assumptions; (d) the method and process for each WBS cost element estimate including data sources, the results of sensitivity and risk/uncertainty analysis along with a confidence interval; (e) an affordability analysis based on funding and contingency reserves; (f) a discussion of any concerns or challenges; and (g) conclusions about the estimate’s reasonableness and recommendations for approval. 3. Accurate. No matter how much you want to fund your new LP project, your cost estimate shouldn’t be overly conservative or optimistic. Among other things, it should be based on an assessment of most likely costs, adjusted properly for inflation, and validated against an independent cost estimate, if possible. In addition, you should update your estimate regularly to reflect changes in the project or program and to replace estimates with the true costs you encounter. Finally, you need to take steps to minimize mathematical errors and use actual costs from comparable projects to improve the odds that aspects of the projects are accurately estimated. Was the point estimate developed and compared to an independent cost estimate? A point estimate represents the most likely estimate of costs given the underlying data, and thus it should be developed and validated. To accomplish this, (a) the WBS cost element estimates should be aggregated using a cost estimating method; (b) and the estimate should be checked for accuracy, double-counting, and omissions, and it should be validated against an independent cost estimate if possible. Is the estimate updated to reflect actual costs and changes? Update the cost estimate to ensure it is current. Specifically: (a) regularly update it to reflect relevant changes to the technical and program baseline; (b) replace a project cost estimation with actual cost when available; and (c) address lessons learned for elements whose actual costs differed from the estimate. 4. Credible. 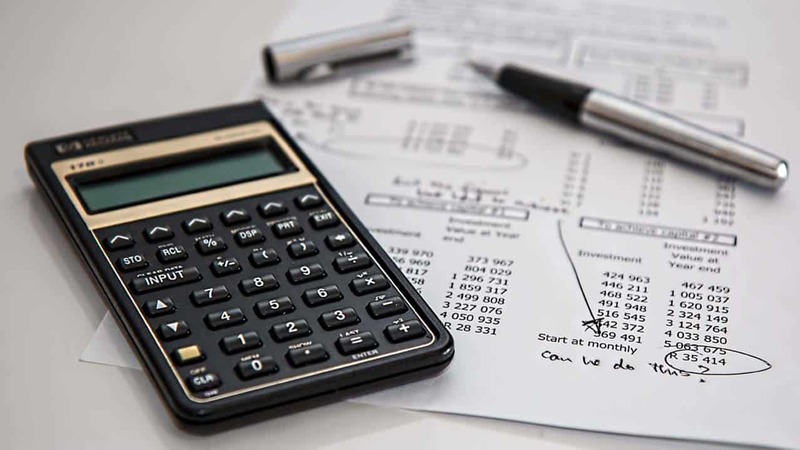 A credible cost estimate will identify any limitations in the making of projections, such as uncertainty in the data used to make calculations. If you are forced to make major assumptions, then you should compute other outcomes to determine how sensitive the project cost estimation is to changes in the assumptions. In other words, if one of your major assumptions is wrong, is your cost estimate going to be way off? You need to identify risks to your cost estimate and the potential impact on the estimate if they occur. Was a sensitivity analysis conducted? A sensitivity analysis examines the effects of changing assumptions and ground rules. To be useful, (a) the analysis should identify key cost drivers, and their parameters and assumptions should be examined; (b) the cost estimate should be redone by varying each parameter between its minimum and maximum range; (c) the analysis should be documented, and the re-estimate should be repeated for parameters associated with key cost drivers. Was a risk and uncertainty analysis conducted? A cost estimate is a prediction based on assumptions, constraints, and unknowns, so there is a risk that actual costs will differ. Risks and associated uncertainty should therefore be analyzed. (a) Model a probability distribution for each cost element’s uncertainty to identify risk; (b) assess relationships among cost elements to capture risk; (d) associate a probability with the point estimate; (e) recommend an amount of contingency reserves; (f) develop a risk-adjusted budget estimate, and identify the risks for mitigation; and (e) implement a plan jointly with the contractor for identifying, analyzing, mitigating, and tracking risks. This post was originally published in 2017 and was updated April 3, 2019.